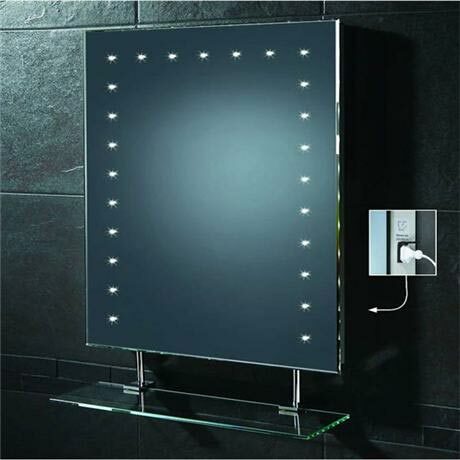 This Modern Keo LED Mirror is part of the Lighting/shaving range from HIB. The Keo is portrait mirror featuring LED lighting, Heated Pad, Shaving socket and a sensor function. This stylish modern mirror also has a glass shelf for practical storage. The Keo uses cutting edge technology and would be a stunning feature in any modern bathroom.